October is Breast Cancer Awareness Month, an international health initiative whose goal is to reduce the risk and occurrences of the disease around the world by improving the public's understanding and education about breast cancer prevention and treatment. 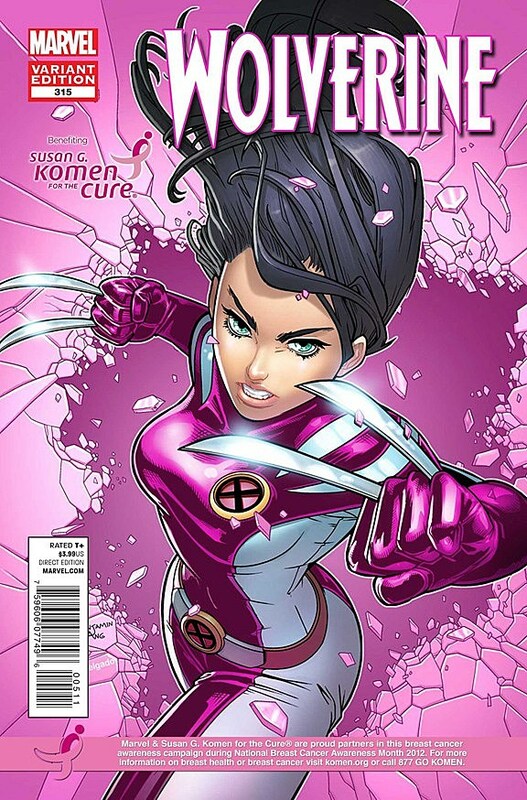 This year, the non-profit group Susan G. Koman for the Cure -- the world's largest breast cancer organization that raises money and networks heath care providers, survivors and other advocacy groups in the fight against breast cancer -- has teamed up with Marvel Entertainment to help improve awareness among its audience of superhero comics readers with a series of variant covers featuring Marvel heroes in pink costumes. 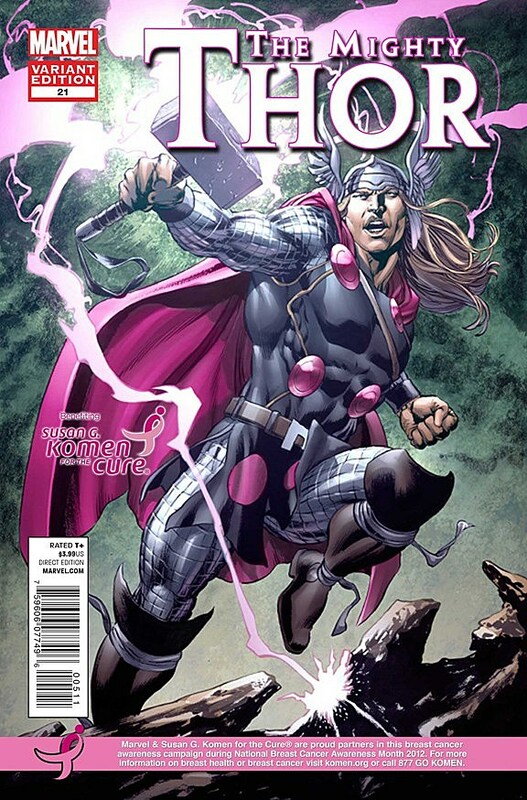 The pink ribbon is of course the international symbol for breast cancer awareness, and it will also adorn the eight special covers which go on sale in October in comic book stores. Marvel has released three so far, which you can see below. Susan G. Komen for the Cure, which has raised nearly two-billion dollars since its foundation in 1982, was at the center of a major controversy earlier this year when the organization announced its intention to withdraw grants from Planned Parenthood, the largest provider of breast exams. The move was seen as political in nature, as conservative groups objected strongly to Komen's support of Planned Parenthood due to its also providing abortion services. An immense backlash ensued, numerous executives resigned, and Komen reversed its position and has continued to award grants to Planned Parenthood. 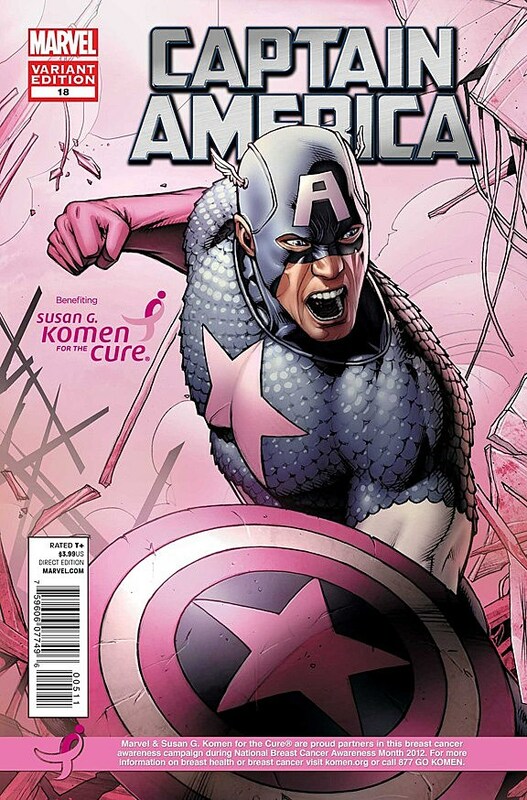 "Marvel is proud to partner with Susan G. Komen For the Cure to support their unparalleled efforts to raise awareness about the risk of breast cancer to both women and men," said Dan Buckley, Publisher & President of the Print, Animation & Digital Divisions, Marvel Worldwide, Inc., in a press release. "We're in a unique position to educate all our fans and increase awareness of the ways to fight -- and reduce -- this risk of this disease by utilizing our comics and online presence." Additionally, all of Marvel's October superhero periodicals will include a one-page advertorial educating readers about breast cancer, with more content available on Marvel.com and through social media. "Komen is thrilled to partner with Marvel Entertainment in the fight against breast cancer this October," said Dorothy Jones, VP, Marketing at Komen. "This partnership will allow us to share critical information with this important audience, empowering them to take positive action for their breast health and for the women they love."